Today sees the launch of the second Vapril campaign organised by the UK Vaping Industry Association (UKVIA). The NNA was pleased to be consulted on the initiative in the months leading up to today and we wrote the campaign’s “switch on to vaping plan” which the website accurately describes as “written by vapers for smokers”. Our contribution was to offer hints and tips from our personal experiences in switching and it is important to highlight why we believe that our input is, indeed, intended to be beneficial to smokers and not yet another hammer to beat them with. Written by the New Nicotine Alliance, the Switch on to Vaping plan is designed by vapers to help smokers quit. Stopping smoking is the single most significant step that people can make to improve their health. This VApril, follow the four steps below to make your switch to vaping. I am excited that there are now over three million vapers in the UK who have made that life changing decision to switch from smoking. But yet, according to Public Health England, an incredible 40% of smokers have never even tried vaping. As part of VApril, TV’s Dr Christian is in London calling for the medical profession to help grasp the public health prize presented by encouraging smokers to switch to vaping. The campaign is a nationwide drive to promote awareness and education about vaping. The aim is to encourage smokers to try switching away from tobacco. VApril is established as the largest consumer awareness and education campaign dedicated to the vaping sector. It is designed to help the 7 million smokers in the UK to quit smoking by switching to a less harmful option (at least 95% less harmful according to Public Health England). VApril is a non for profit campaign run by the UK Vaping Industry Association. Debunking common myths and misconceptions about teens and vaping – separating the facts from the scare stories Put yourselves in the shoes of a parent (if you’re not already one). You read in the papers about a teenage vaping epidemic. There’s a good chance you’re one of the many people in the UK who think vaping is just as bad as smoking, and you’ve already been told that electronic cigarettes are a gateway to smoking cigarettes. The natural reaction is panic, and for a call for greater regulations. But does the data back these fears up? A new paper in JAMA Network Open by Jidong Huang et al. from Georgia State University provides some new statistics about just how effective the war on vaping is, in terms of the average American’s perceptions of risk. Despite working for one of FDA’s pet research shops, the authors make clear their opinion that it is bad that so many people think that vaping is as harmful as smoking or worse. 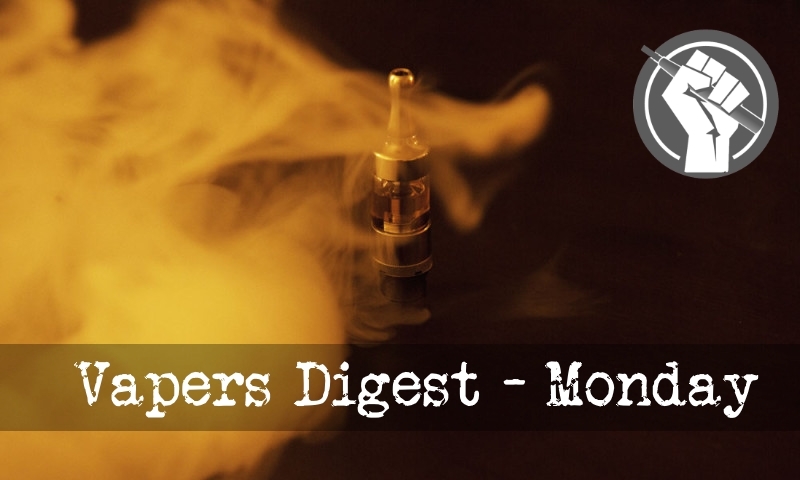 The Delhi High Court has shot down the Indian government’s attempt to include vaping as part of the Drugs and Cosmetics Act (DCA), according to Association of Vapers India. The decision follows on the heels of protests over a ban on vape content online. Delhi government Additional Director (Public Health) S.K. Arora will still keep fighting to prohibit any form of tobacco harm reduction, but keeps cigarettes on sale. Last month, over 30 organisations and industry bodies wrote to the Indian Electronics and IT Ministry demanding that it drops the ban on vape-related video content. Signatories included the Cellular Operators Association of India and the Heart Care Foundation of India. McLaren is running the branding of British American Tobacco’s e-cigarette product Vype for the first time at the Bahrain Grand Prix. It is the first time a Formula 1 team has promoted an e-cigarette product by name. It comes after McLaren and Ferrari removed their tobacco brand sponsors’ promotions at the Australian Grand Prix after concerns were raised over whether they complied with restrictions on tobacco advertising. The global vaping sector faces a number of regulatory challenges that could drastically change the industry and have serious consequences for public health. In the United States, outgoing Food and Drug Administration (FDA) commissioner Scott Gottlieb has proposed new restrictions on e-cigarettes and vaping. If these proposals become law, retailers across the country could be subject to aggressive restrictions. Some flavoured e-cigarette products will no longer be sold at all, while others will be sold ‘only in a manner that prevents youth access’. Electronic cigarettes should be seen as a normal consumer product and not be regulated under the Tobacco Products Directive, according to Giovanni Carucci, vice president EU affairs at British American Tobacco (BAT). Carucci said the next European Commission should consider the differences between e-cigarettes and traditional cigarettes and act accordingly when it revisits the two most important acts related to the tobacco industry: The directives on tobacco products and on the tobacco excise duty. With the ink barely dry on legislation legalizing vaping products in Canada, the industry finds itself facing an existential threat: an epidemic of youth vaping. In response to the alarm over youth use, tobacco-control activists are lobbying Health Canada to crack down on the advertising and promotion of vaping products, such as JUUL and Vype, while also pressing to limit adult access and choice in order to combat the perceived crisis. In the latest installment of the youth vaping fear-mongering campaign, U.S. Sen. Jeanne Shaheen (D-N.H.) has called the reported increase in the number of young people trying e-cigarettes as a “national crisis.” Apparently, Shaheen feels the need to add more alarmism to a debate that’s already fueled by misleading research and commentary. Shaheen’s declaration comes on the heels of her recently introduced legislation that would apply fees to e-cigarette products at a national level. I started smoking in Japan as a 22-year-old teacher. Doing otherwise at that time, in that country, would have marked me out as an oddball. For men at least, smoking was almost compulsory. It was certainly ubiquitous. We smoked in the school staffroom so unapologetically it was left to students to empty the ashtrays. There are estimated to be 500,000 cigarette vending machines in Japan – and, while Starbucks won’t tolerate it, until recently you could still smoke to your lungs’ discontent at McDonald’s and KFC. New legislation banning the online sale and smoking of e-cigarettes in non-smoking areas came into effect in South Australia today. Minors will have limited access to shisha devices and e-cigarettes, under new South Australian laws. The use of e-cigarettes in non-smoking areas and online sales have been banned under the legislation which took effect from Sunday. When it comes to the health impacts of electronic cigarettes, the truth is complicated. New research suggests the public might be missing the nuance, for better or worse. Investigators from Georgia State University and the University of Oregon wanted to gain a better understanding of the extent to which public perception about e-cigarettes has changed over time. They used 2 large, nationally representative surveys—the Tobacco Products and Risk Perceptions Surveys (TPRPS) and the Health Information National Trends Surveys (HINTS)—to analyze changes in public perceptions from 2012 to 2017. It may do more harm than good It’s important to understand that we live in a second best world. As a grand idea sure, if every government made exactly the right decision at exactly the right time then life would be better. Now, everyone put a hand up who claims that every government is even capable of making that right decision? Really? Somalia? Venezuela? Zimbabwe? The opposition party in whatever election you’re just about to fight? Will the federal government block solutions that may help cigarette smokers kick their habit? The next commissioner of the Food and Drug Administration, who will be chosen to replace the soon-departing Scott Gottlieb, will have to answer that critical question. Americans increasingly think that e-cigarettes are just as bad for people – if not worse – as combustible cigarettes, a new study reveals. The numbers of people who think vaping is as bad as and worse than smoking have both tripled since 2012. In reality, vaping is certainly not ‘healthy’ – it forces the heart and lungs to work harder – and there is still a great deal we don’t know about its effects, but it is considerably less dangerous than smoking. Y’know this whole “THR” thing? It stands for “Tobacco Harm Reduction”. I prefer to style it “Tobacco RISK Reduction”, just because I’m a pedant, picky, and very wary of negatives. And given that everything – and I do mean everything – carries a risk with it, but may not be inherently harmful, it seems to me that “risk” is the better word to use. Political front groups have admitted efforts of doing their alleged “job” are useless to “protect children”. Again. The “American Academy of Pediatrics and its Maryland chapter, American Cancer Society Cancer Action Network, American Heart Association, American Lung Association, Campaign for Tobacco-Free Kids, Truth Initiative and five individual pediatricians” filed a lawsuit in a Maryland court on March 27th to expedite more smoking in the United States.